Kathrun - with a K and a R-U-N: Where has Kathrun been?!?! I know, I know. I have been totally MIA-it's been an eventful Q1 in my world! Well, after Christmas, we made our cross country road trip and moved to Seattle. It was actually a really fun adventure. You can see #xcchloe on Instagram to see how that all went! Just as we finally were getting settled and acclimated to our new city, Chloe blew her knee out in early March (literally right after her 11th birthday!). After appointments and xrays galore, she had surgery just about two weeks ago to repair her CCL (same as an ACL in humans), then developed pneumonia from the anesthesia. She finally got to come home and we have been babying her a lot. So not a ton of time for much else! It's been a ride, I tell you! And still lots of recovery to go. Chloe post surgery. So sad!! Glad we are feeling better these days! But, in between all that, I have managed to get back on track with my running. I totally attribute that to the Oiselle Voleè. I have a great group of Thursday morning birdie runners that I see weekly for 3-4 miles...and I have done a couple of races, even FINALLY PR'd in the half! 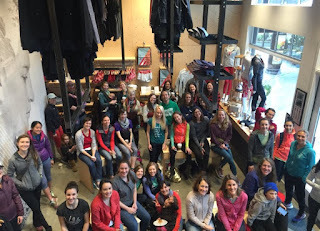 At the Oiselle Flagship store, watching the Olympic Marathon trials with my Oiselle team! Shannon, Carrie and me at the Oiselle store, sporting our American Runner trucker hats! Love 'em or Leave 'em Green Lake 5k - Green Lake is an EXCELLENT location for some nice runs. Go Long 520 10k - a 10k over the world's longest floating bridge! And, are you ready for this? I have registered for marathon #2! I'll be running the Portland Marathon, October 9th! I have a new Seattle Oiselle friend, Carrie, who will be going on this adventure with me. It will be her first full marathon! I'm SO excited for her! Been spending some time exploring our new city and new trails! This is the view from our rooftop deck. Amazing, I tell you! So here we go again! Spring races and a summer full of training! 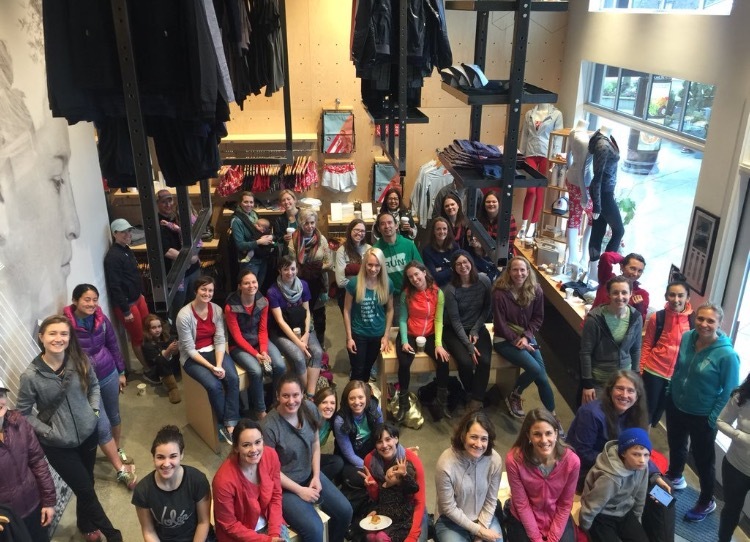 I am so grateful for the Oiselle Voleè...they have made this move and transition so much easier. I have made many great new friends and have gotten back on track running. I hope to get back on track with the blogging too!! Do you have any big goals this spring/summer? Who else has a fall marathon on tap?